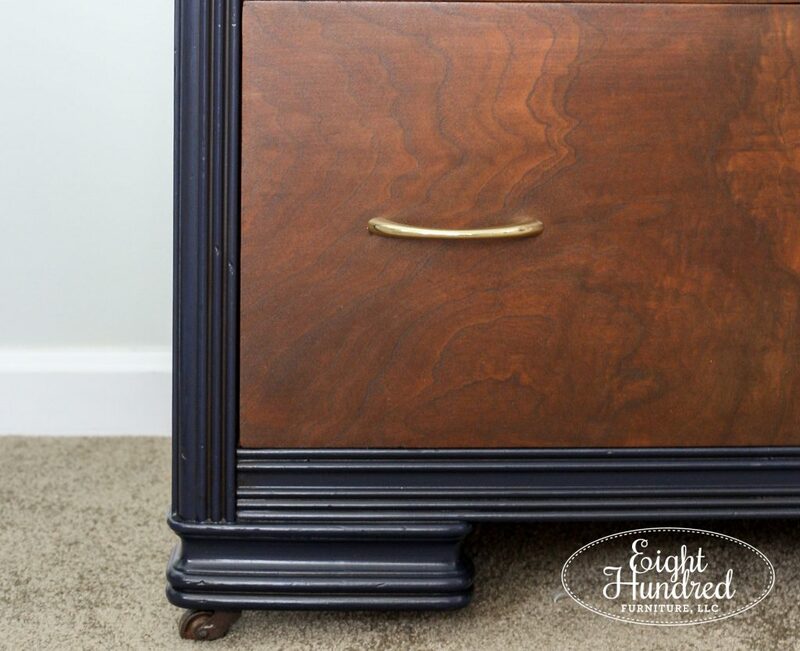 I am soooo excited to share this furniture makeover with you today, because it’s the first retail piece I’ve painted with General Finishes Milk Paint! Now I’ve painted several pieces with GF Milk Paint before, but this is the first piece that is totally 100% GF products all the way through that I’m putting up for sale in my booth at Morgantown Market. Exciting, huh? I bought a waterfall dresser off of Facebook Marketplace a few weeks ago, and one search on Pinterest instantly gave me the inspiration for its makeover. 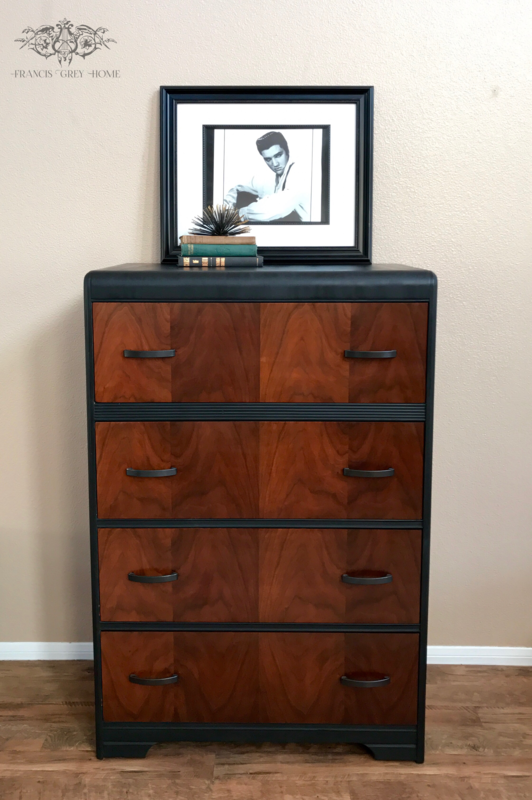 I loved the look of freshly refinished drawers with a warm wood stain and a dark body. I even liked the simple horizontal handles. 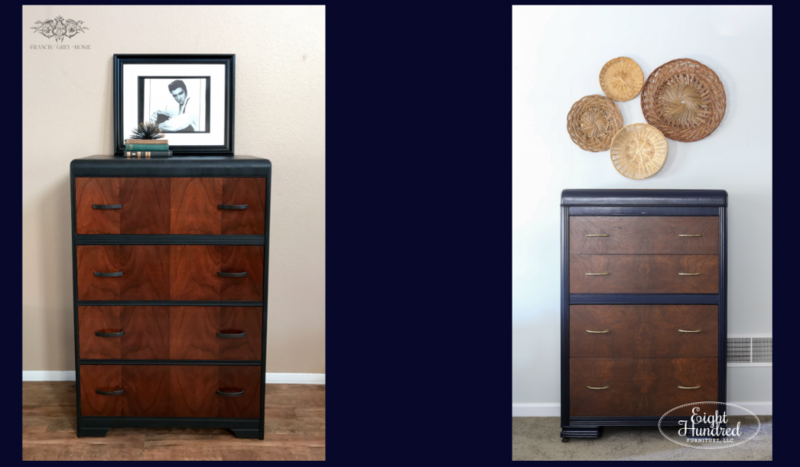 My inspiration dresser also had a similar shape to my vintage dresser, so it was easy for me to picture mine refinished in a similar manner. 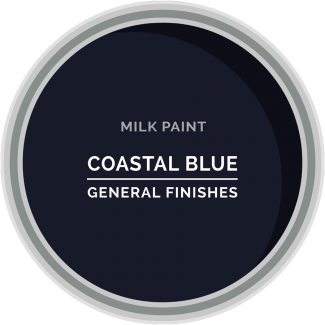 The navy color in the General Finishes Milk Paint collection is called “Coastal Blue” and it’s really yummy! 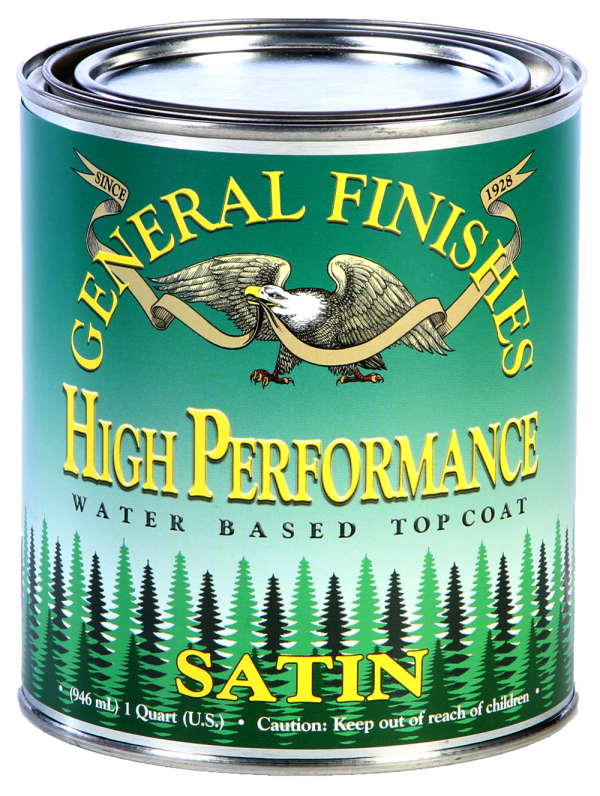 General Finishes strongly recommends cleaning and scuffing pieces prior to painting. You can watch the process in action in the video below. There wasn’t any reason to prep the fronts of the drawers because I was going to sand and stain them. 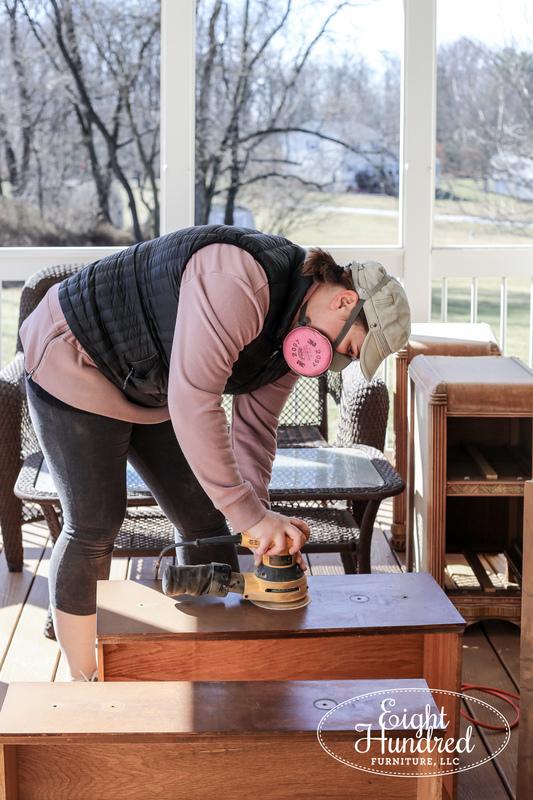 Once a nice day came around, I took the drawers out on the deck and sanded off the original finish. The original handles left some gouges from being screwed on tightly for years, and the finish was a bit worn. Plus, the original stain was very orange and I wanted to take it towards the brown direction. My sanding schedule started with 120 grit and finished with 150 grit. You can see the difference that a good sanding made in the photo below. The top is “after” and the bottom is “before”. Quite a difference, right? After I had stained the drawers, I let the Antique Walnut Gel Stain set overnight. 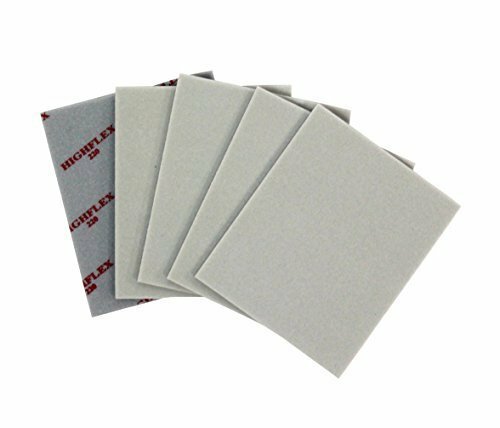 This ensures that the stain is completely dry when you apply topcoat over it. My topcoat of choice was High Performance Topcoat in Satin. 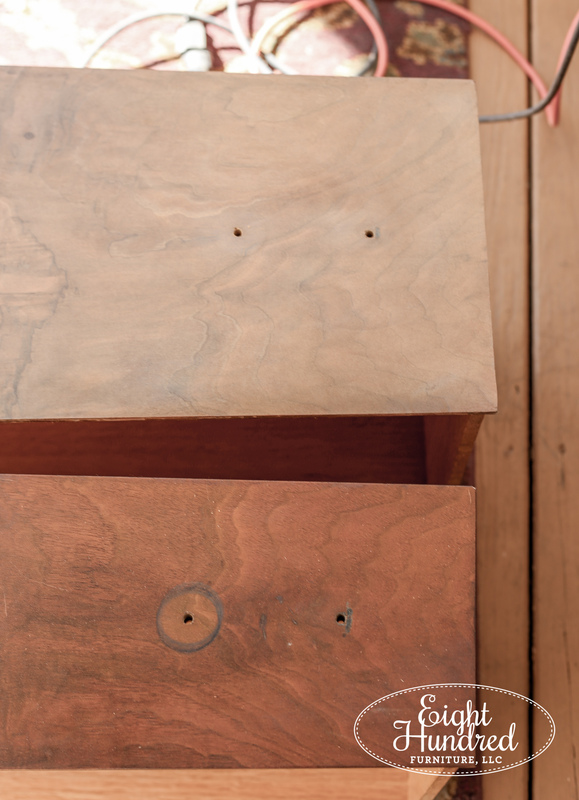 I applied three coats of High Performance Satin on the fronts of my drawers to ensure they would be well protected. 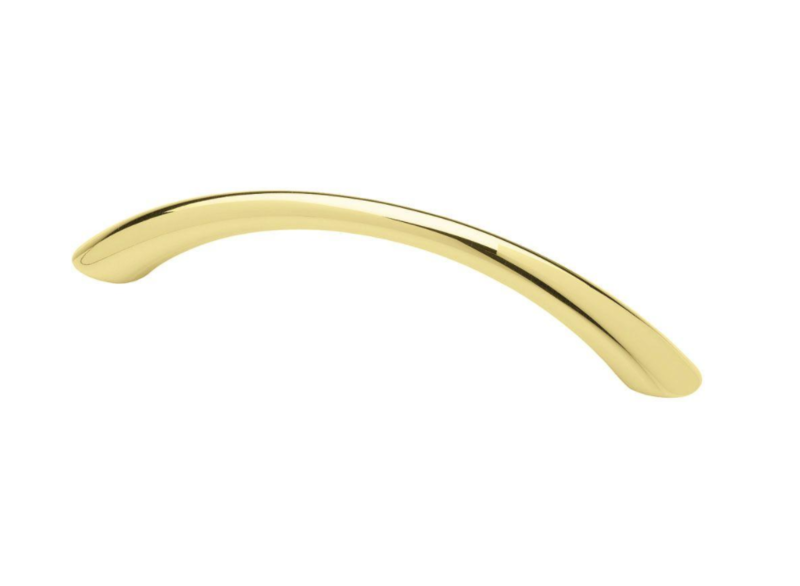 The original handles were a little too art deco, and I wanted to take the piece more towards mid-century modern, so I opted for simple brass pulls. Once the drawers were taken care of, I turned my attention to the body. Painting with General Finishes Milk Paint is a much different experience compared to Miss Mustard Seed’s Milk Paint. GF Milk Paint is a thicker, pre-mixed, modern paint. It works best when you smooth it out and leave it alone. It’s formulated to lay down smoothly and set up quickly, so the more you run a paintbrush over it, the more the paint will drag, resulting in brush strokes. I find that I load more paint on my brush when I’m using GF’s Milk Paint and I use longer strokes to smooth it out faster. I applied two coats of Coastal Blue, allowing 2-4 hours of dry time in between. 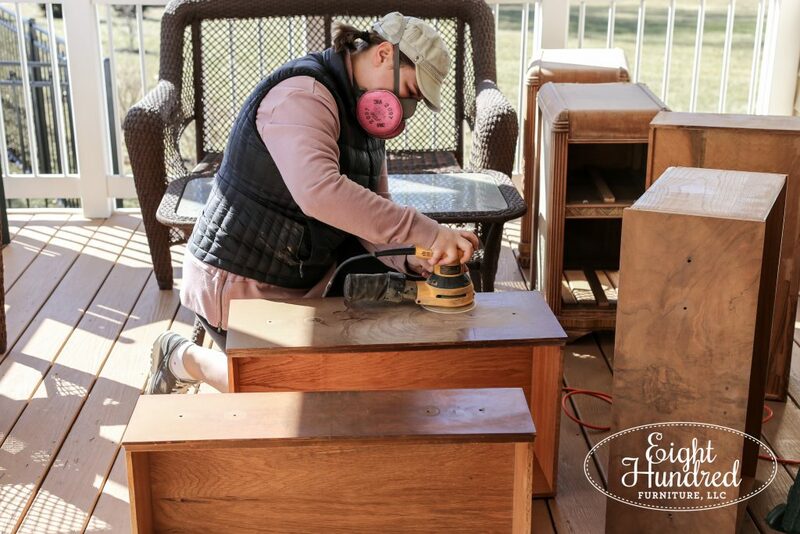 In between each silky coat of GF Milk Paint, I lightly sanded with my 220 sanding pad to ensure that the dresser would feel super smooth once I was finished. 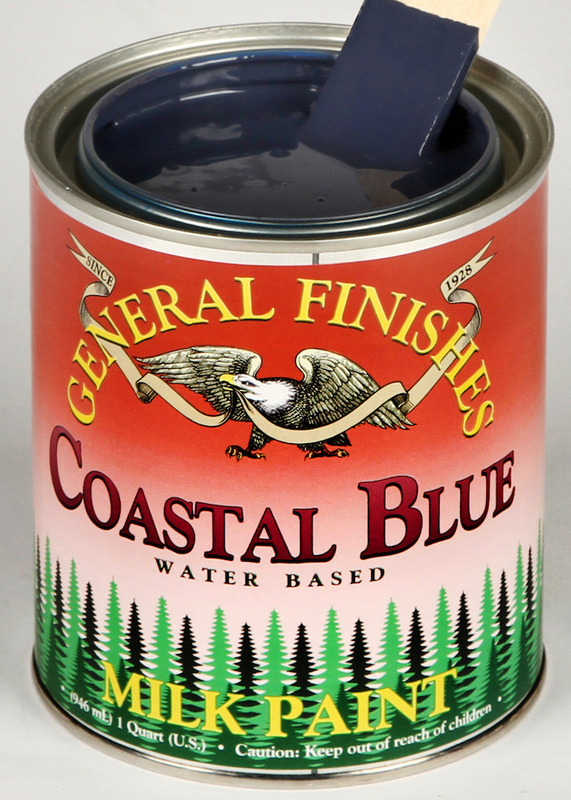 Here is General Finishes’ video teaching you how to apply their Milk Paint with a brush. I’m sharing all of these videos with you because this is how I learned how to use their products. The company really knows their product and their videos are excellent resources for learning how to get the best results. So it’s not that I don’t want to teach you how to use the product here on the blog. It’s more so that they’ve done such a great job already that it would be silly for me to reinvent the wheel, you know? When I was finished painting, the Coastal Blue looked really lovely, but it was missing some depth and dimension. There were lovely grooves along the sides and bottom that I wanted to highlight, so I decided to apply some Van Dyke Brown Glaze Effects to add a little “something”. 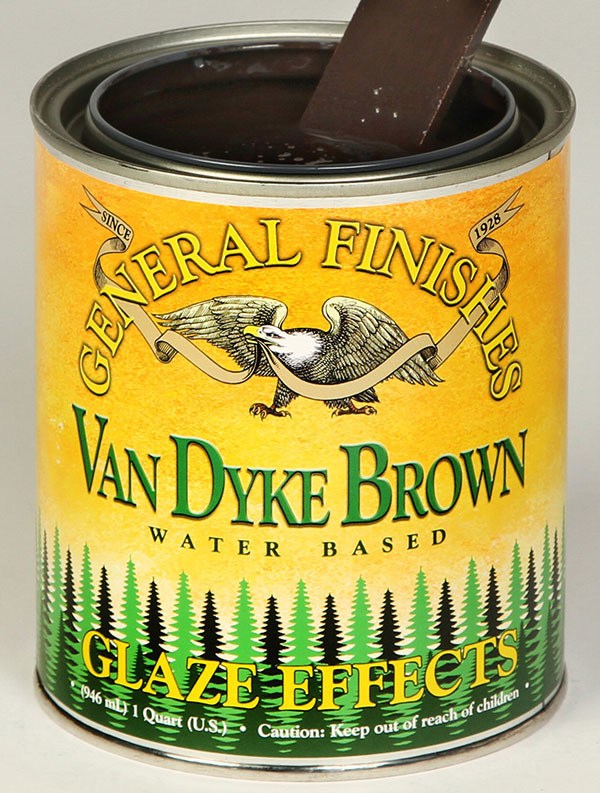 In case you’re not familiar with glaze, it’s basically a tinted liquid that you brush on and wipe off. It settles into carvings and recessed areas on furniture pieces, and it can really make a big statement. 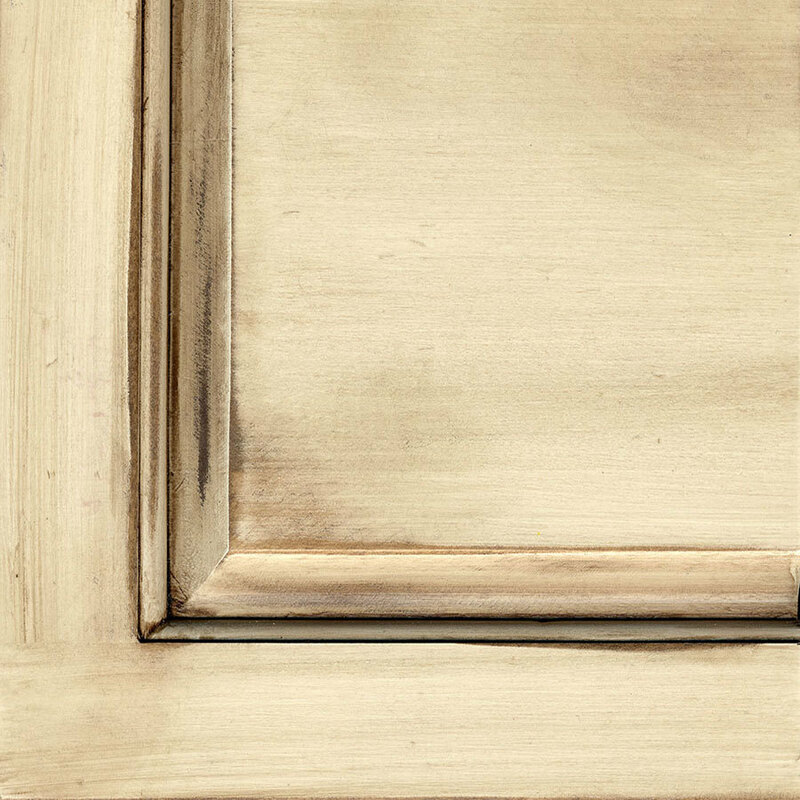 Here’s Van Dyke Brown Glaze Effects over Antique White Milk Paint. See how it settles into the recesses and adds age and character? 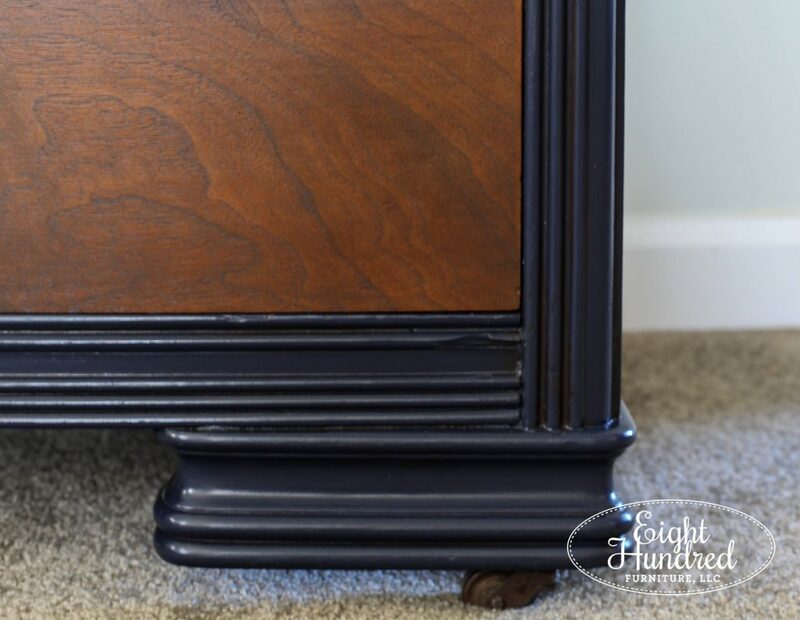 Before I glazed my dresser, I applied one coat of High Performance Topcoat in Satin to protect the color and help the glaze glide on a bit easier. As I applied it with a brush, I used shop towels to wipe it back until I liked the look. 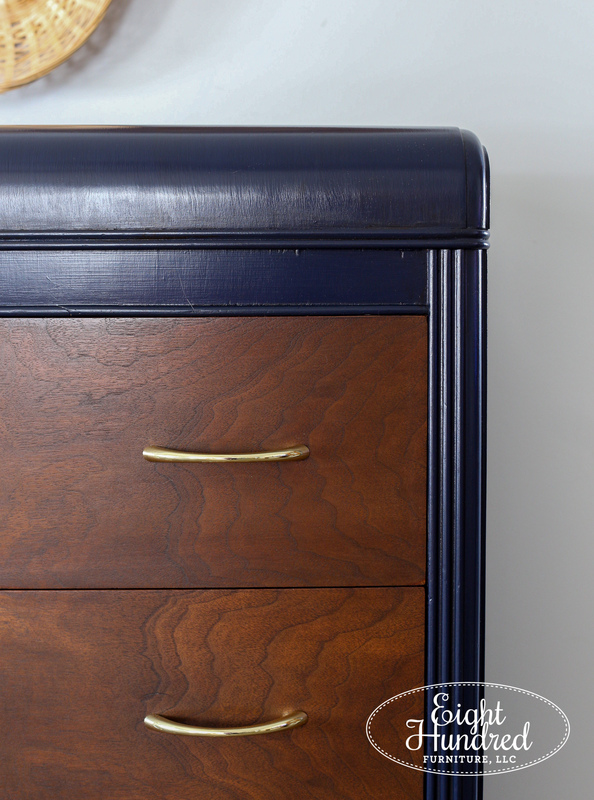 Once it was dry, I sealed the entire body of the dresser with two coats of High Performance Topcoat in Satin. So here’s the order of products from the bottom up. Make sense? 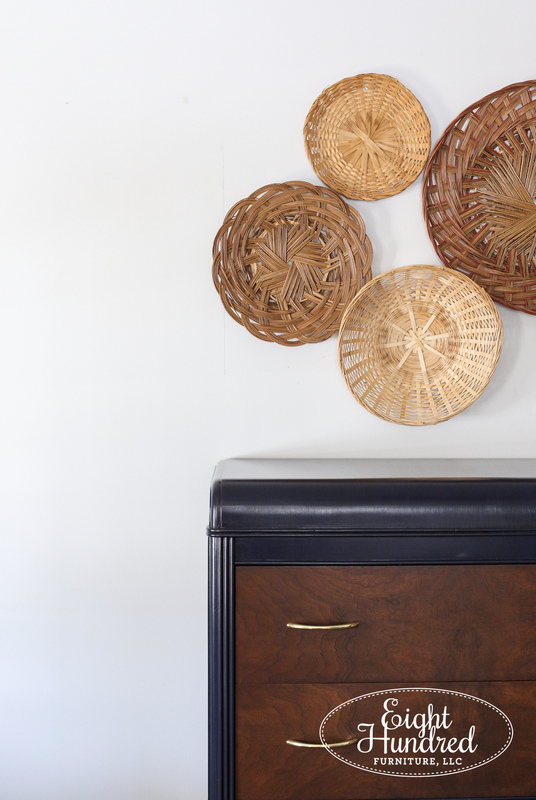 The result is an incredibly handsome and classy vintage waterfall dresser. What do you think? Did I nail my inspiration look? 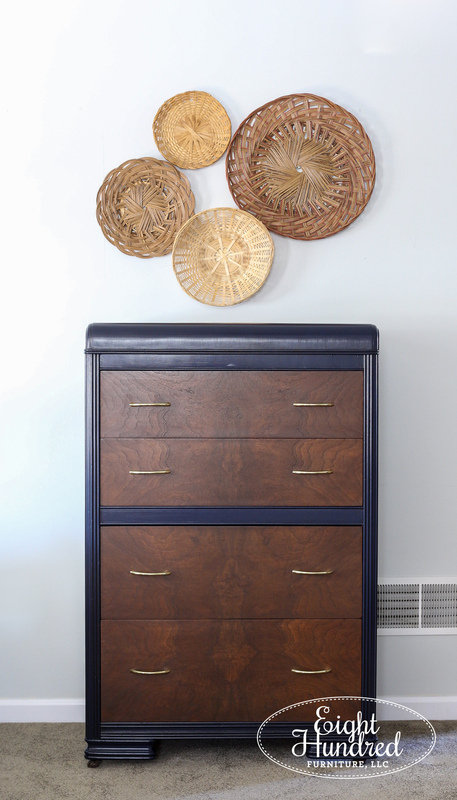 The Coastal Blue Milk Paint works so well with the Antique Walnut Gel Stain, don’t you think? 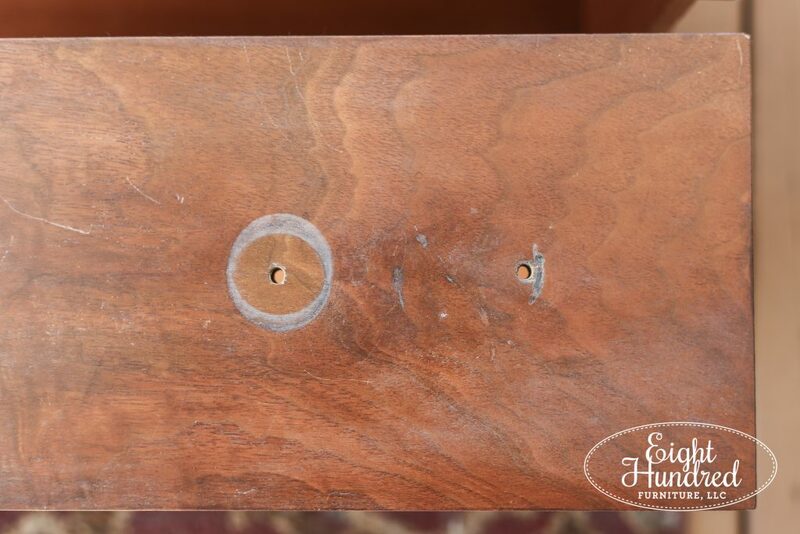 The bottom of this dresser has little casters in each of the four corners, lifting it off the ground and making it possible to appreciate the grooves. This is where you can really see how the Van Dyke Glaze settled into the recessed areas. 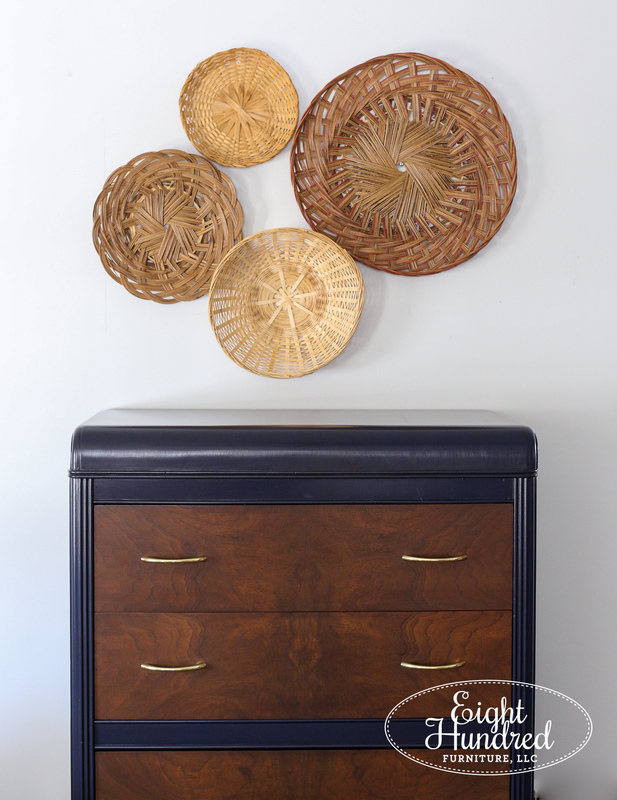 This dresser is currently for sale and is available to be purchased. I’ll be bringing it to Morgantown Market tomorrow as well as some cotton decor and some other smalls. If you’re interested in it, swing by to check it out. There are lots of fun changes that have taken place over the past few days at the market, so stop in to see what’s new. Booths have been moved around and there is always new merchandise arriving, almost on a daily basis. I also plan on scheduling workshops that will teach you how to use General Finishes products, so stay tuned for those opportunities as they come up! You can also shop for all of the products that I used to complete this project in my booth at Morgantown Market.